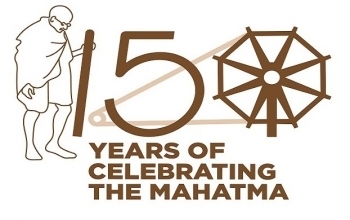 The Embassy would like to announce that a four-minute LED projection containing highlights of the initiatives and lessons from the life of Mahatma Gandhi will be exhibited on the facade of Embassy building at Železna cesta 16 in Ljubljana on 2nd October 2018 to commence the celebrations for the 150th Birth Anniversary of Mahatma Gandhi. The Projection will run continuously from 1930 hrs on 2nd October 2018. The Embassy welcomes all to view this inspiring projection on Mahatma Gandhi.